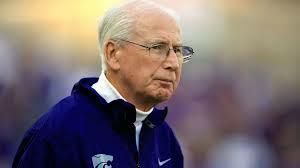 It looks like Bill Snyder doesn’t plan to go anywhere soon. The 78-year-old K-State football head coach just inked a new deal that will run through 2022. The contract calls for Snyder to make $3.45 million this year and will get a $300,000 increase for the next two years. The contract contains a renegotiation clause after the 2020 season. The Hall of Fame head coach has roamed the Wildcat sidelines for over a quarter-century total. In his first stint, from 1989-2005, he turned around one of the worst football programs in the country. He returned to the team in 2009 and has racked up 73 wins, an average of 8.1 wins per year.